I was one of those crazy kids that always loved going to the dentist, so it just made sense to go into the dental field. 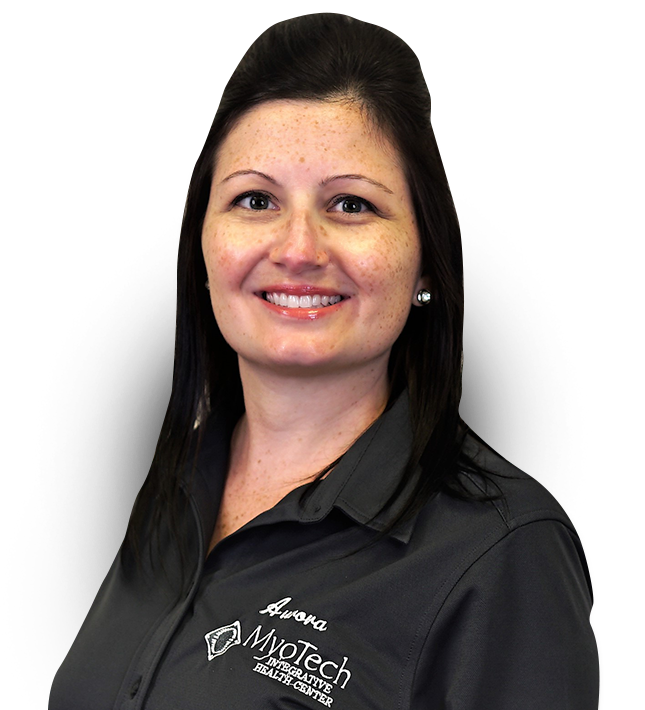 I have been with MyoTech for eight years, and have over 17 years of dental experience with assisting, front desk, and office management. I was first drawn to MyoTech by the doctor’s passion for what they do & genuine care they have for every patient. 8 years later, I still witness this care and compassion daily from our doctors and staff members alike! I have two dogs. A rather high-strung Japanese Chin named Kato and a Pitbull named Ripley who is always full of energy & ready to play. I have a houseful of boys, so there is never a dull moment in my life! I love any outdoor activity. Whether it’s a relaxing beach vacation or hiking in the woods, I am just happy to be outside. Excel Training Systems School of Dental Assisting, Ashford University.